As a science-minded man with an electrical engineering degree from Georgia Tech, Steve Kaney always appreciated the technical beauty of the Porsche, both inside and out. When he graduated from college, he bought a classic 911 and sunk as much time, money and love into keeping it running as he could. Since that time, Kaney has owned several Porsches, including a Porsche Boxster Spyder he bought specifically so that he could enjoy zipping it around the AMP car track near Atlanta. Yet, when Kaney had his first chance to finally test the Porsche’s technical limits, he experienced an unexpected emotion: humility. “I was hooked at that point,” says Kaney. Since that time, he has maintained an enthusiastic presence at the track as well as at other competition races in the Southeast. Learn why he has become so passionate about competitive motorsports and why he thinks Miatas have some sort of unspoken magic in the full interview below. Steve Kaney says that he’s always been a “car guy,” but before he became a member at AMP, he had no track or racing experience. He was thrilled at the idea of what AMP offered when it was first coming together since it could finally bring him the ability to extract speed out of his vehicles like he had always craved. 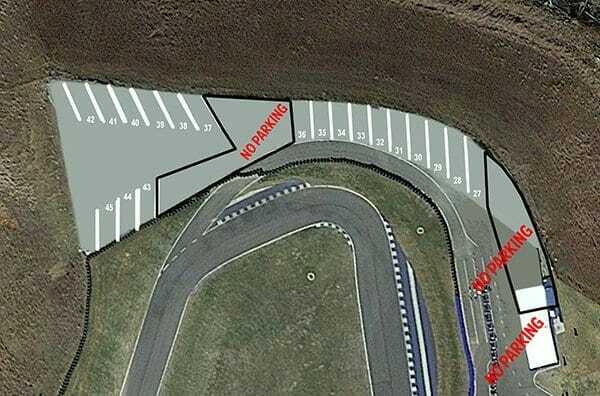 “When I showed up, it was basically dirt with trees being knocked down,” Kaney says of the nascent AMP track, but he knew that within that dirt was the promise of something exciting. 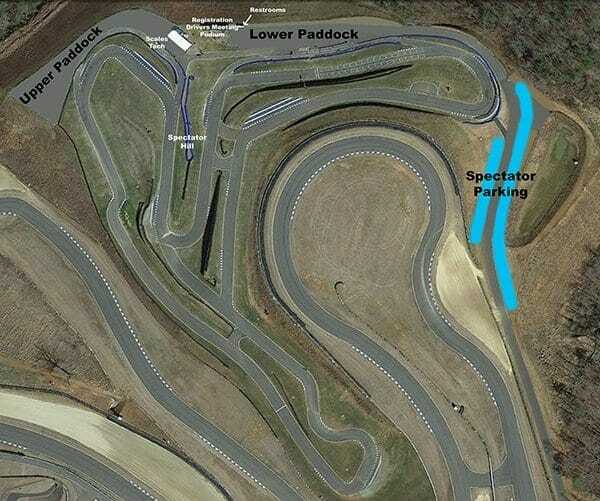 Yet, the first time he hit the track in May 2012 after it had opened, he felt humbled rather than thrilled. All the horsepower held under the gorgeous sheet metal of the Boxster Spyder mattered little on the challenging twists, off-cambers and hairpin turns of AMP’s euro-style track. He remembers giving a point-by to a car trailing in his rearview mirror, only to realize that it was member Tripp Campbell in a four-door sedan carrying three people. 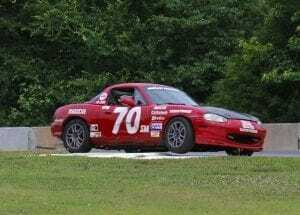 At that point, it was back to the drawing board for Kaney, but he was later given a secret weapon in the form of a Spec Miata during a track event with a visiting racing company. The slower horsepower but go-kart-like precision of the Miata inspired Kaney to slow down and focus more on cornering skill rather than trying to be fast in straightaways. At that point, he was hooked and sought out ways to compete and improve. Now, he holds a Competition License from the SCCA (Sports Car Club of America) and NASA (National Auto Sport Association), driving an average of two races a month with multiple podiums and wins to his credit. He is now a staple participant in our Member Race series and one of its staunchest evangelists. He hopes to increase participation so that other members can feel the sheer joy he does. One of the biggest mysteries is how the platform for a front-engined race car, with unremarkable weight distribution, can handle just as well as a mid-engined vehicle. Kaney provides an anecdote where he measured the corner speeds from some of his best lap times in two vehicles: one, his purpose-built Cayman racer and the other a spec Miata. While the Miata was 10 seconds slower overall, its apex speeds were almost all within 1 mph of the Porsche. He says that while the Miata obviously has less power in the straightaways, its status as a “momentum” car actually turns you into a better driver. When you sit behind the wheel of a Porsche or something more performance-ready, the skills attained in a Miata translate directly. Regardless, he asserts that the more people who show up on race days, the better the quality of competition will be for people of all skill levels the more the field can separate into individual competitions between like-skilled drivers — like a race within a race. 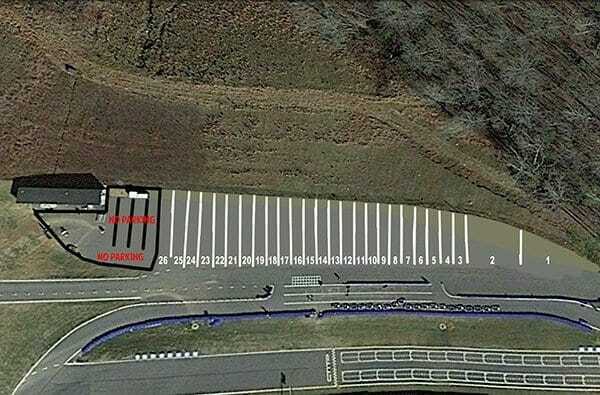 Join Steve Kaney and Other Dedicated Drivers for our Atlanta Road Track Member Race Series! As Mr. Kaney points out, running spec Miatas is cheap, fun, convenient and an amazing way to get hooked on true competitive racing. Since we have Racing Analytics right here at the track, you can have as spec Miata gassed up, warmed up and ready to go when you arrive at the track. If you bring your own vehicle, participation fees are extremely low — cheaper than most day passes! Therefore, there is no better opportunity to push your driving skills to the next level than jumping in the seat during a Member Race event. We promise we don’t bite! 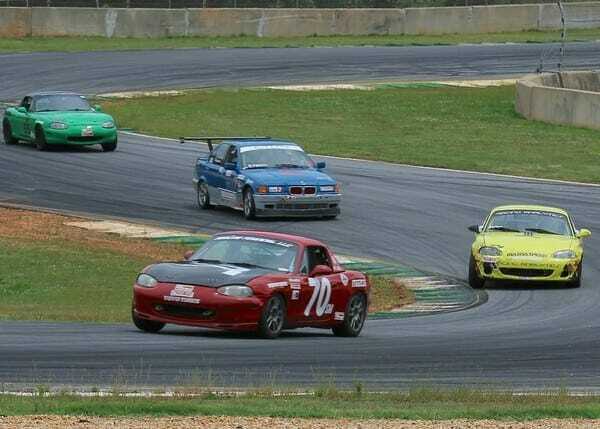 You can learn more about our Atlanta Spec Miata Member Race events and become a member when you contact us today!